Located in the UNESCO world biosphere of Baa Atoll, Finolhu came about as a reaction to the more familiar Maldives island. 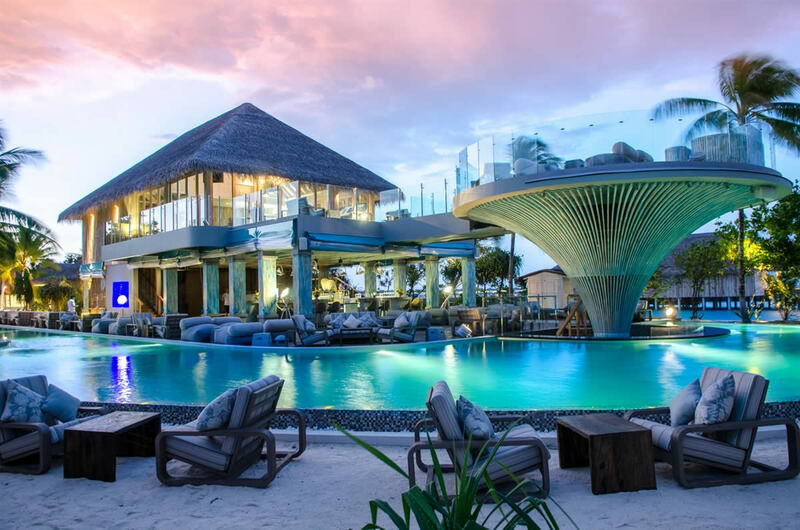 One of the newest resorts in the Maldives, Finolhu was born out of a desire to bring a fresh wave to the uninhabited island experience. Forget the images of the quiet Maldives paradise: here, fiery dancers, acrobats, world-famous DJs and top-class barmens keep the guests on tiptoe (starting from their bed). The retro atmosphere is the resort's main inspiring force that puts a fun stay at the heart of everything it offers. 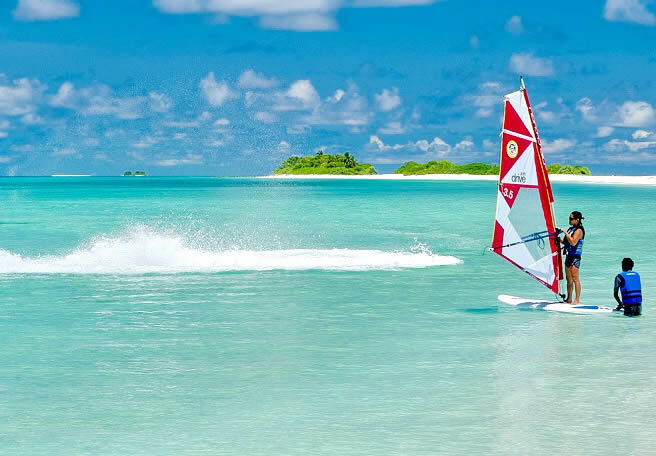 This cool island playground shakes things up with a fun and fresh spin on Maldivian luxury. Do not worry, Finolhu is also not indifferent to relaxation: romantic overwater villas, a pretty spa and the longest sandbank on any Maldivian resort island will have you recovering from the night before more quickly than you can say ‘hallo, Finolhu’. Four fantastic restaurants, an infinity pool and an outdoor beach club are also involved in the mission. 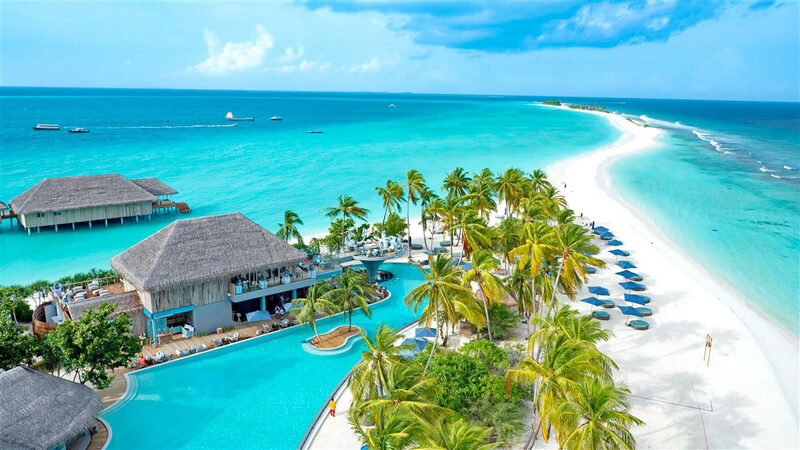 Everything in a happy marriage offers a great place for your holiday, as all the main reasons to visit this area of ​​the Maldives are guaranteed by the clearest, most turquoise, life-rich waters that you will not find anywhere else in the world. Baa atoll and Finolhu in particular, are in fact all things why people go to the Maldives. Finolhu doesn’t play by the traditional Maldivian-luxe rules. It takes the top-notch service and jaw-dropping desert-island setting – in the remote Baa Atoll, known for having the best marine life in the archipelago – and adds a playful twist. It’s quirky; think Instagrammable splashes of retro cool like VW campers parked on the beach, vintage phones for ordering Champagne and pastel-hued spa huts named after musical divas. Make no mistake, though – Finolhu is ultra-luxurious, with sleek private villas and five-star dining. Kanifushi island boasts the longest (1.8 km) sandbank of all the famous Maldivian resort islands - expect to spend a lot of time explorering it. Open the island, where the fun really begins. With special attention to the fact that this is a well-deserved vacation, pleasure holds a high priority on the agenda. A number of restaurants are available, centered around Baa Baa Beach Club with a choice of international cuisines filled with entertainments changing on a regular basis. The hotel has 3 other restaurants specializing in Asian, North African and seafood dishes with tons of food and a large selection of beverages able to satisfy hunger and thirst, regardless of the length of your stay. Of course, if you prefer to stay in a horizontal position, you can enjoy gastronomic pleasures without leaving your own villa, on your own deck with hypnotic sea views. A long beach should not disappoint you either; beach club with retro cinema and old-school arcade; spa with fitness centre and beach gym; tennis courts; watersports; four restaurants; old-school tuck shop. In rooms: TV, iPod dock, DVD player, desk, air-conditioning, minibar, black-out curtain, Neal’s Yard Remedies bath products. Dedicated to protecting an abundance of marine life, Finolhu uses earth-kind bath products and light bulbs; produce for the restaurant is sourced locally. The hotel diligently recycles, water is provided in reusable glass bottles and grey water is used to irrigate the island's plants. In Finolhu, there is nothing ordinary, not least its swimming pool: a spectacular water playground with a small Palm Island in its heart where fire dancers, DJs, acrobats and other artists play at night. In other words, after sunset, the pool basically turns into an outdoor nightclub. Finolhu's open air infinity swimming pool is fenced and controlled in the daytime. Guests can use the floating and inflatable facilities; Swimming lessons can be arranged upon request. Finolhu is located on the private Kanufushi island in the southern corner of Baa Atoll, the UNESCO World Biosphere Reserve. 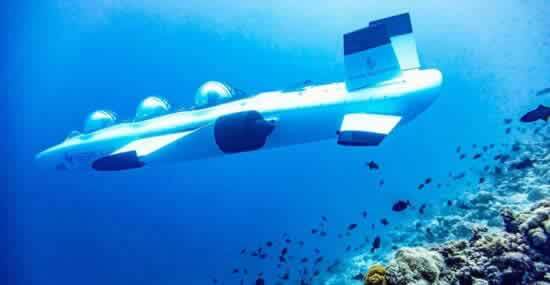 The main attraction here is Hanifaru Bay and world-class diving with whale sharks and manta rays. You can get to the resort from Male Airport in two ways: by seaplane or by domestic plane (there are 4 flights dayly) + speedboat. 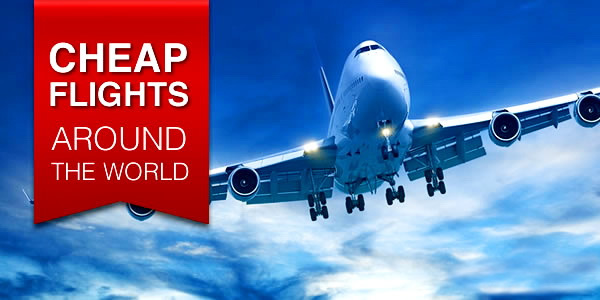 What is noteworthy - the prices for both options are the same and amount to approximately $ 510 round-trip. The resort is 30 minutes flying by FlyMe from Velana International Airport and 26 km from Dharavandhoo airport (DRV). Nobody says that paradise should be near - but this transfer is definitely worth the trip. Finolhu is 30 minutes by speedboat from Amilla Fushi, a sister resort operated by The Small Maldives Island. 126 villas in Finolhu largely based over the water, on either side of one of the longest jetty in the Maldives. You really will have plenty to choose from when it comes to accomodation. All rooms include complimentary high speed wifi, exclusive Neal’s Yard organic skin care products, an outdoor bathroom and rain shower and even a Marshall sound system for you to chill out to your favourite tunes, not to mention the 40-inch TV with satellite channels, a safe, a minibar and a wine bar. Beach Villas lead out to a private stretch of sand, or upgrade to an Ocean Pool Villa for the iconic overwater experience – you can often spot dolphins from your deck. If you’re a family or group of friends travelling together, go all-out with the fun-filled Two Bedroom Rock Star Ocean Pool Villa. The connection with the sea is reflected in the accommodation, most of which is located above the water, meaning you always have access to the turquoise infinity that is the Indian Ocean. Once inside your accommodation, however, you really start to notice that Finolhu have done things differently. Thatched villas have opulent splashes of purple and gold, distressed wood and vintage touches like Marshall sound systems. Taking inspiration from a host of different styles including the French Riviera, Moorish design and Mediterranean whitewash chic, you’ll start to notice the flourishes and fun details that really show how Finolhu have played with the desert island concept and given it their own spin. From Marshall amplifiers in the rooms, through to Neal's Yard skin products, you will appreciate the finer details in your little home. Beach Villas: Hidden in a luxurious tropical vegetation with its own stretch of beach on the doorstep Beach Villas (205 sq.m) in Moorish style - a popular type of accommodation in Finolhu. The villas feature a spacious outdoor terrace with sun loungers, and there is also a garden. Inside, besides a large king-bed, you will find a 40-inch flat-screen TV, a private wine and mini bar, comfortable and unique furniture, a private bathroom with a bathtub and indoor and outdoor showers. Private life is provided by a wall of dense vegetation. Lagoon Villa: Bohemian-inspired water villa overlooking the stunning Finolhu's Lagoon and 1.8 km long sandy spit has direct access to the sparkling turquoise of the lagoon. The area is 145 sq. M., Expansive villas are equipped with spacious sundecks facing the inland lagoon and with views of the sandbank (to the east). Ocean Pool Villa: Inspired by the vivid colors of the French Riviera, Ocean Pool Villas have a size of 180 sq.m. with direct access to the ocean. Each villa has a large outdoor terrace with sun loungers, and a private pool with fresh water. All villas facing west, and guests are guaranteed fantastic views of the sunset. Favorite accommodation option for families or groups of friends traveling together is Two-Bedroom Ocean Lagoon Pool Villas are knee-weakening lovely; number 808 is our hands-down favourite, thanks to its secluded spot. This villa boasts incredible sunset views and can’t be spied on by other guests. Number 888, its neighbour, is another top pick: it’s the same size and also overlooks the glittering lagoon. (Though it’s a tad less private, it’s still a stunner.) Hurry up - there are only 7 of them, where numbers 606-608 look at the sunset. Two Bedroom Beach Pool Villa (530sq.m): Located next to the spa, ideal for beach lovers, families or groups of friends traveling together, a two bedroom villa with pool overlooking the magnificent Finolhu sunsets come with its own garden and a 10 m freshwater swimming pool. 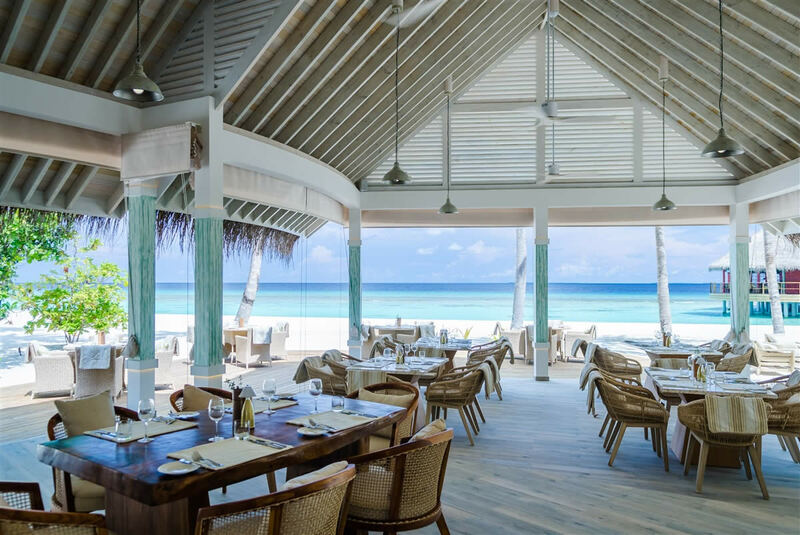 Four restaurants; the Baa Baa Beach Bar, Asian restaurant Kanusan, the Baa Haa Grill & The Fish and Crab Shack provide a host of flavours and cuisines to suit any taste. The resort's social hub, Baa Baa Main Dining is your nautically-styled international offering, guarded by two ‘sheep', with tables perfectly poised for sunset appreciation. We loved the kitsch fish and chips, served in a little bucket; the plump grilled prawns are also toothsome. Be bold and start your days with long leisurely breakfasts with Asian noodles and dim-sum; sticking with the Orient, Kanusan restaurant has a duck oven at the heart of its stylish open-plan kitchen. Its modern Cantonese cuisine includes steamed snapper with leeks and ginger, and fried chocolate-fingers for dessert. Sample North African-inspired dishes at Baahaa Grill: canter through Mezze's 24 small plates, try the Seafood Sampler and end on a sweet note with pistachio and walnut baklava. Last but not least, the hotel has a casual Fish & Crab Shack, positioned in a private spot at the end of the sandback and accessed by a short dhoni ride: try crab tacos and crab curry. 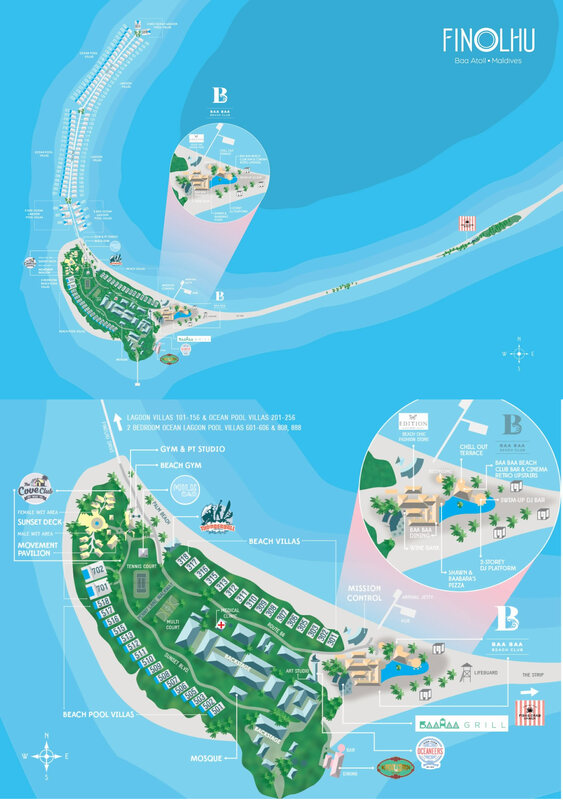 There's more to Baa Baa Beach Club than a bar (or baa). Watch classic movies at its retro cinema, play Pinball or Pac-Man at the old-school arcade, or sit back and soak up the 180-degree ocean views from the upstairs bar and viewing area. At night, famous mixologists, globally-acclaimed DJs, acrobats and fire shows will keep your eyes (wide) open. The beach club also hosts sociable pool parties every week; grab a fruity cocktail – and your current consort. Baa Baa Main Dining serves breakfast from 8am–11am, lunch from 1pm–3.30pm, dinner from 7.30pm–11pm (Baahaa Grill and Kanusan serve dinner then, too). Fish & Crab Shack is open 1pm–6pm. You can also order food at the bar from 11am–7pm. Items from the restaurant menus can be ordered to your room 24/7, along with a more casual selection of snacks and mains (sandwiches, pizzas, burgers and the ilk). Pick up snacks (healthy or not) from Milk Bar, Finolhu's tuck shop. Forget spying on couples, bored, soppy or otherwise; at Kanusan's lower-deck tables, you can watch baby sharks and baby sting-rays swim by while you eat. At Fish & Crab Shack, take a front-row tables beside the sea, with wow-worthy lagoon views. Dress code is beached mermaid/merman. There's plenty of family accommodation, with two-bedroom villas on the beach and overwater. Close to the Baa Baa Beach Club, Finolhu has established the fantastic kids club 'Oceaneers' - for children aged 3 to 12. A host of exciting activities are planned for little (and not so little) people, including sports on and off the water, crafts, games and cooking classes. Little Oceaneers at Finolhu will be kept very busy indeed, leaving parents to enjoy a well-deserved chill out. Finolhu can also provide a babysitting service on request at an extra charge. Water-babies will love splashing around the family-friendly pool and gambolling on the peaceful beach. Finolhu has a sandpit, climbing frame, slide, shaded pool, kitchen used for cooking classes and a ‘dream-ville' for daytime naps. The hotel has a host of watersports on offer, and can arrange boat trips to nearby reefs for eye-widening snorkelling. Older Smiths can borrow books, DVDs, arts and crafts kit, puzzles and other games. Finolhu's unheated outdoor infinity pool is gated and supervised. Guests can borrow floats and inflatables; swimming lessons can be arranged on request. Highchairs can be provided; obliging staff are happy to heat up baby milk. Little Smiths will love the old-school tuck shop and the child-friendly food dished up at Baa Baa Main Dining and the Fish & Crab Shack: fish and chips served in a cutesy mini bucket, for example. If you want to borrow a baby monitor, just ask. The hotel can also provide full-size baby cots or wooden crib beds, baby bedlinen, changing mats, potties, baby steps, blackout blinds, bottle-sterilising equipment, stair gates, socket covers, highchairs, beakers, weaning spoons, buggies and more. 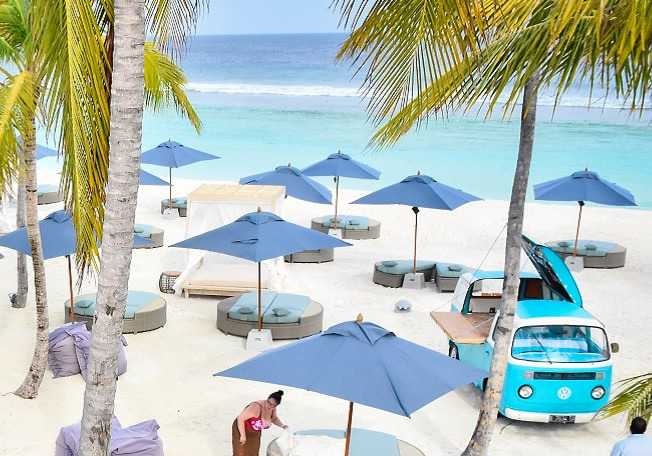 Finolhu has taken a typically playful approach to the Cove Club, its Sixties-and-Seventies-inspired spa: a series of 10 chandelier-lit, pastel-hued beach ‘divans' (picture pretty beach huts), where you can drop/flop by for a massage, facial or beauty treatment. The spa also spans a fitness centre, steam room and sauna, yoga pavilion and outdoor Palm Beach gym. Sporty types can tick off capoeira, paddleboarding, ballet and kickboxing; there's also a relaxation area with wonderful sunset views. 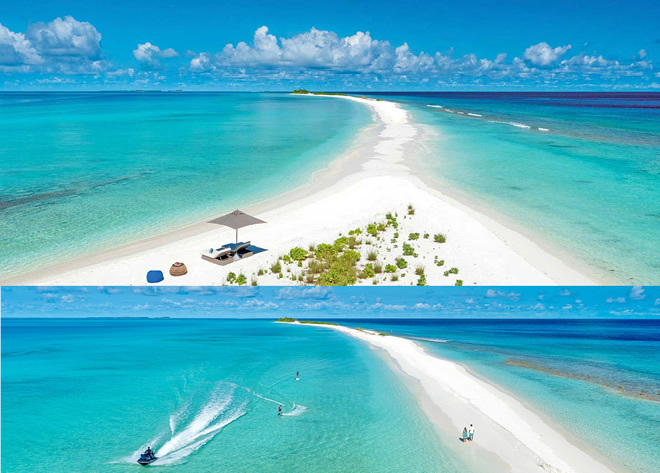 Stake out your favourite section of the hotel's incredible sandbank. Take up the hotel's offer of free snorkelling trips to the nearby reef (about 15 minutes away by boat). Diving: As a UNESCO declared World Biosphere Reserve, Finolhu is home to some of the most magnificent marine life anywhere in the world. The best diving in the world deserves the best dive centres, and as such, the dive school is run by Dive Butler International, widely regarded as one of the best dive experts in the world, making sure you get to the very best spots and have an incredible underwater experience. Watersports: the Thunderball watersports centre is situated on Palm Beach, a sheltered lagoon that is perfect for all manner of watersports. Stand-up paddleboards (SUPs), sailing and windsurfing are all complimentary and the friendly team will make sure you have the best possible time on the water. Guests can also hop on a speedboat for a half-hour ride to Finolhu’s sister island; the A-list hideaway of Amilla Fushi. The Cove Club: this retro-inspired chill out zone features a spa with 10 chandelier-lit treatment rooms, relaxation area and steam/sauna, a fitness centre, yoga pavilion and Palm Beach style outdoor gym. Finolhu has also introduced a UFC GYM® Master Trainer to offer diverse personal training and group classes based on mixed martial arts from the global phenomenon the Ultimate Fighting Championship®. Clean, spacious and comfortable surface villas with swimming pools. Stunning view from the room. Night shows and fire dancers. Nightlife. Expensive, excluding tax at 23.2%. Departure at noon, but flexible, subject to availability (and payment). The earliest check-in, 2 pm. Rates usually include a generous buffet breakfast or full board, a visit to Kanifushi Lounge at Male airport, use of a children's club, night entertainment, non-motorized water sports and free WiFi throughout the island. Pack the best outfits for Instagramm to form a bright, jealous photo. Do not worry too much if you see a strange mermaid swimming in Baa Baa Beach Club swimming pool - it's all part of the Finolhu experience ... and not too much Pin-Colada! The large villas have their own vinyl collection and a turntable for a real musical retro experience! Like what you see? Take a look at Amilla Fushi, no less cute brother Finolhu. You are lucky that guests can use the amenities of both hotels - two great islands for the price of one.